Amid debate over balancing growth and financial management, Finance Minister Arun Jaitley on Monday adhered to the fiscal consolidation roadmap by proposing to keep the deficit at 3.5 per cent of gross domestic product in 2016-17. He also assured that development agenda will not be compromised and a committee would be set up to review the working of Fiscal Resposibility and Budget Management. Total government expenditure in next fiscal would be Rs 19.78 lakh crore (Rs 19.78 trillion). Of this, Rs 5.50 lakh crore (Rs 5.50 trillion) would go towards Plan expenditure and another Rs 14.28 lakh crore (Rs 14.28 trillion) towards non-Plan expenditure. The revenue Deficit for current fiscal has been bettered to 2.5 per cent of GDP, from the budgeted 2.8 per cent. Jaitley further said that in view of the uncertainty and volatility in global markets, time has come to review the FRBM Act. 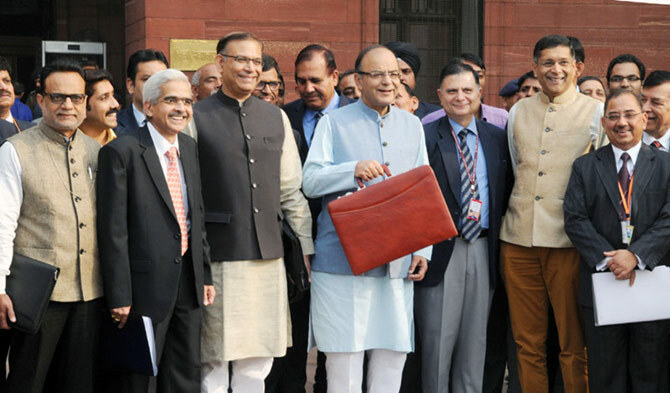 As per the deficit roadmap announced by Jaitley in last Budget, fiscal deficit was to be brought down to 3.9 per cent in current fiscal and further to 3.5 per cent by 2016-17. The deficit was to be lowered to 3 per cent by 2017-18. As per the earlier roadmap for fiscal consolidation, the deficit was to come down to 3 per cent by 2016-17. The Economic Survey tabled in Parliament on Friday had said that ‘credibility and optimality’ argued in favour of sticking to deficit target of 3.5 per cent of GDP for 2016-17, indicating some room for an upward revision.